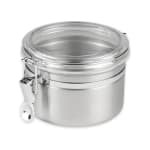 The Update CAN-4AC storage canister’s stainless steel construction is perfect for use in commercial settings since it is durable and resistant to corrosion. 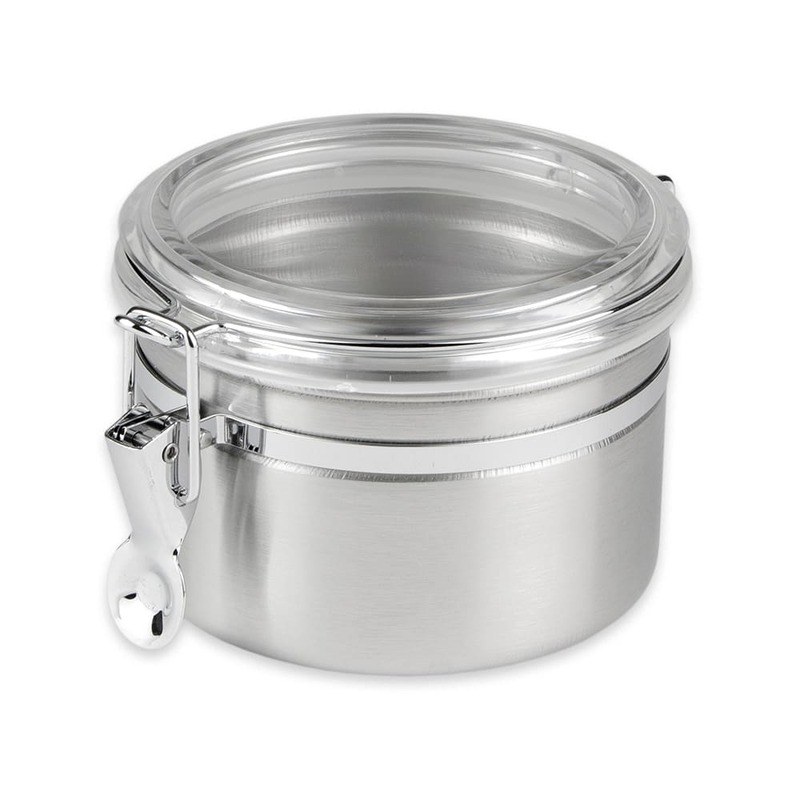 Product is easy to identify through the lid with the transparent plastic design. The lid is connected to the Update CAN-4AC storage canister so it cannot be misplaced. With a 5-inch diameter and 31⁄2-inch height, the canister can hold up to 26 ounces of loose leaf tea, seasonings, salt, and more.